"Not a killer". Dexter is confronted by the son of a suspect. 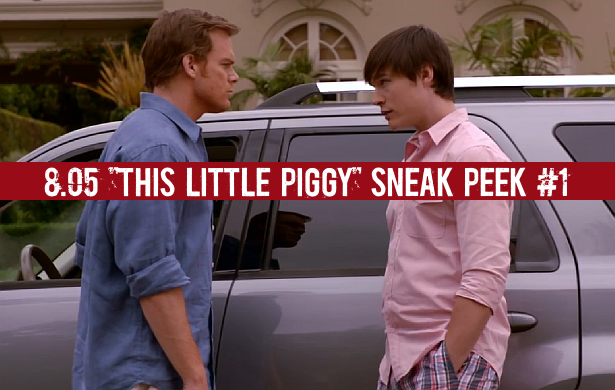 Watch after the jump, the first sneak peek clip of this Sunday's episode of Dexter, 8.05 "This Little Piggy"!